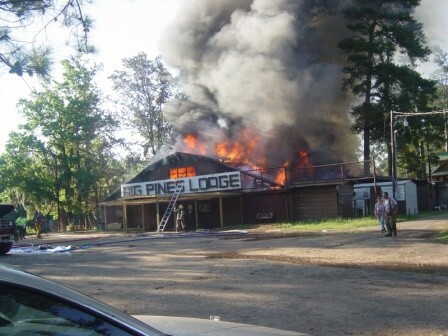 Big Pines Lodge before fire. 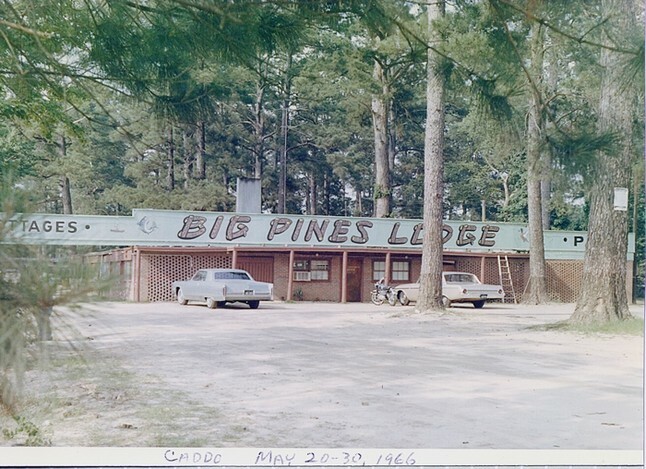 Big Pines Lodge as it was May 20\1966. 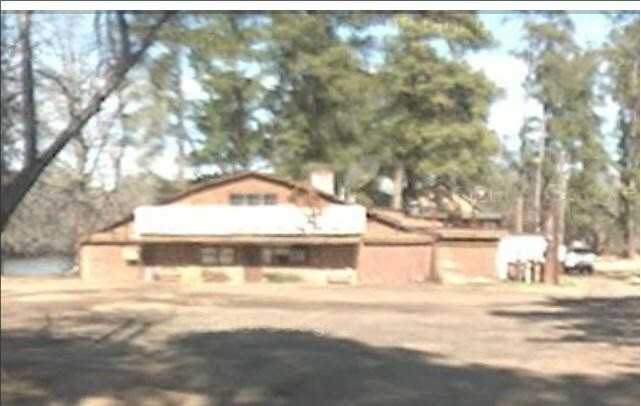 The old building was destroyed in a fire in 2009. 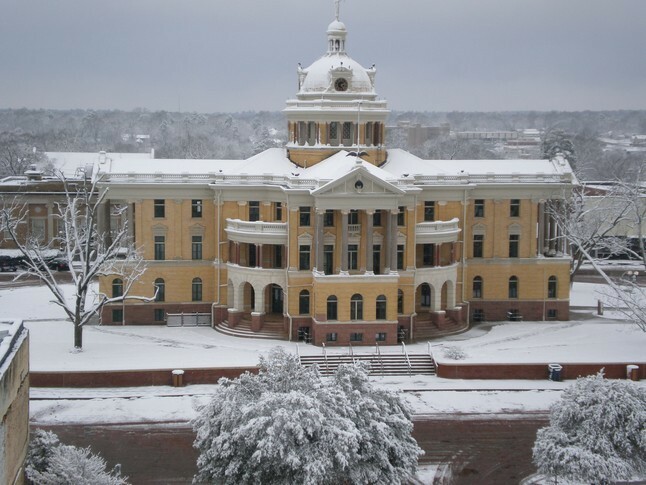 Owners are planning to begin rebuilding in the fall after working through flood regulations and plan to have the front look like it was in the early days of the lodge. 2. 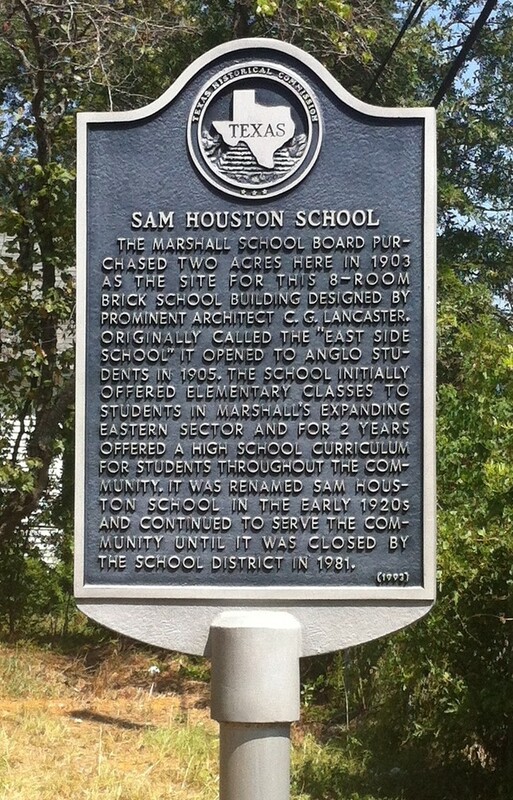 Old Sam Houston School fire Jan 13, 2010. Probably called "Pink Prison" because of the color of the brick. 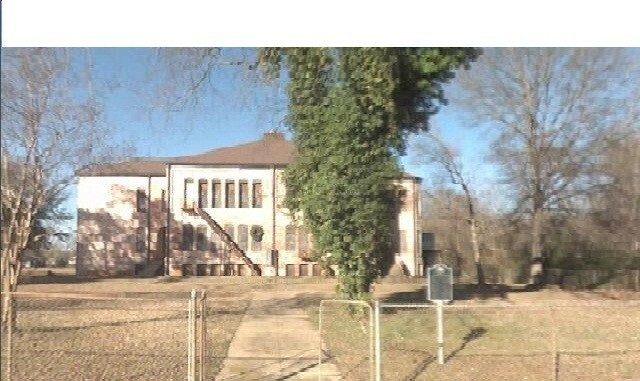 The School before the fire.